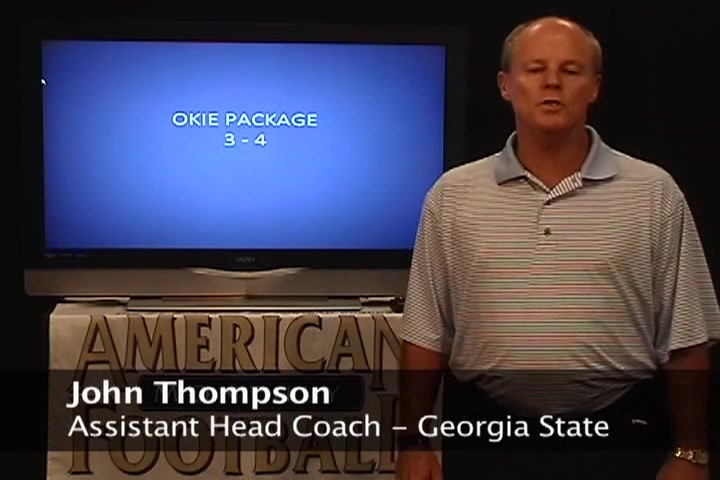 John Thompson is currently the defensive coordinator at Georgia State. 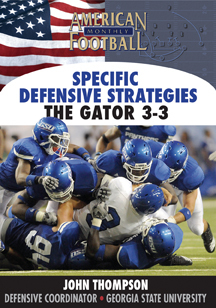 One of the most respected defensive coaches in the nation, Thompson was the defensive coordinator at four different SEC colleges throughout his career – Arkansas, Florida, South Carolina, and Mississippi. 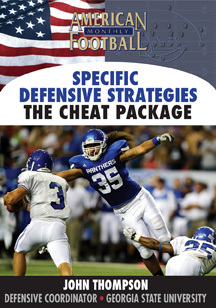 He recently completed a four-set series of DVDs on defensive play, now available at AFMVideos.com. 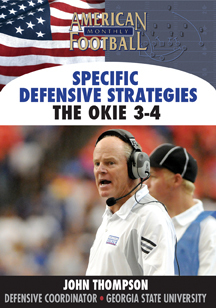 In his first DVD, Coach Thompson details the intricacies of the Okie 3-4 defensive package which includes both his philosophy of defense and why this package can be effective against any offense. 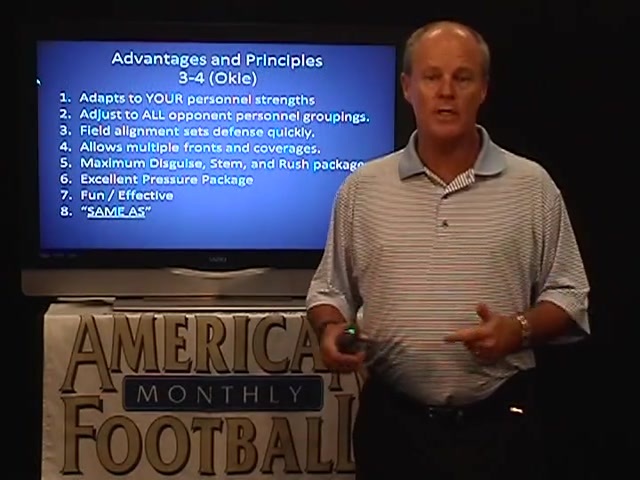 • How the Okie 3-4 package adapts to your personnel strengths. 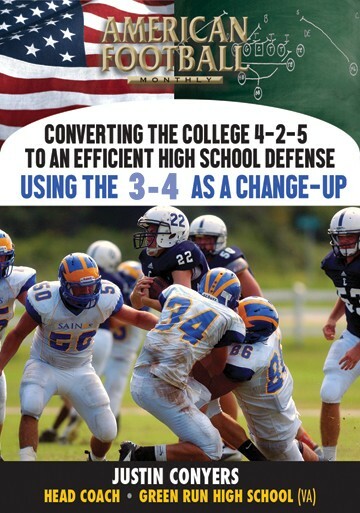 • How the Okie 3-4 package adjusts to all opponent personnel groupings. 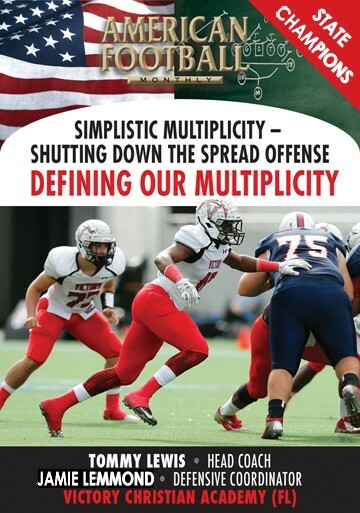 • How the Okie 3-4 package allows multiple fronts and strategies. 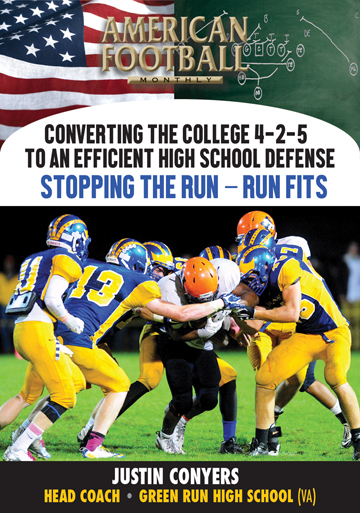 • Why disguise, stem, and rush packages can be effective. 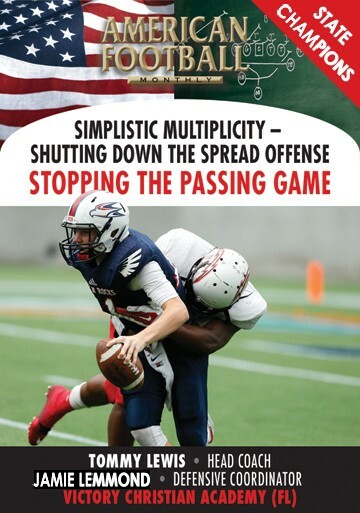 • GSU’s base ‘Bite’ package. 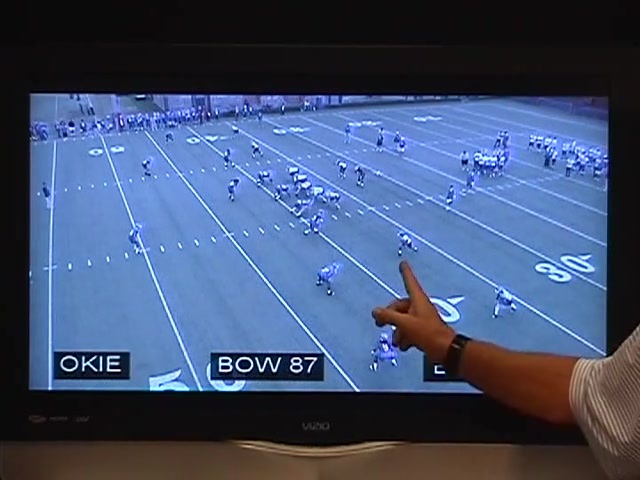 • GSU’s 3-4 ‘Whip’ package. 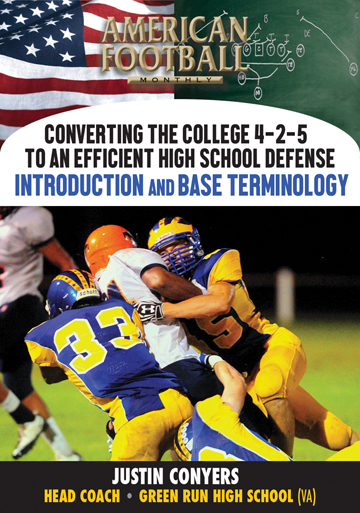 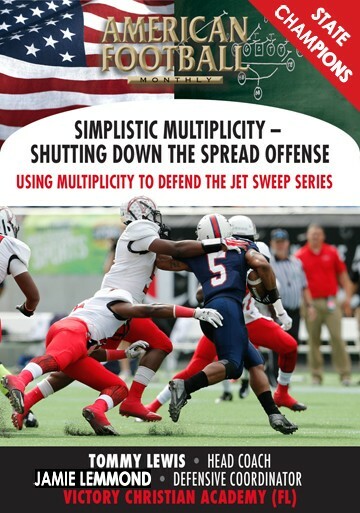 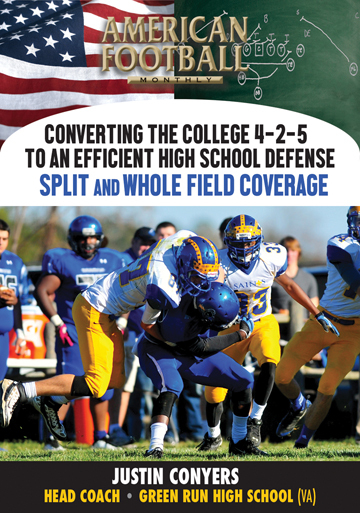 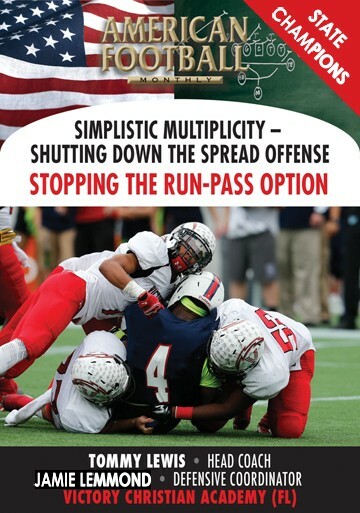 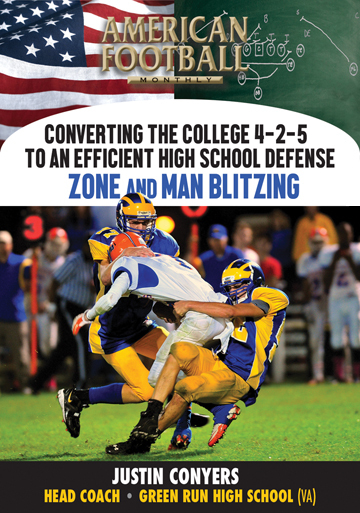 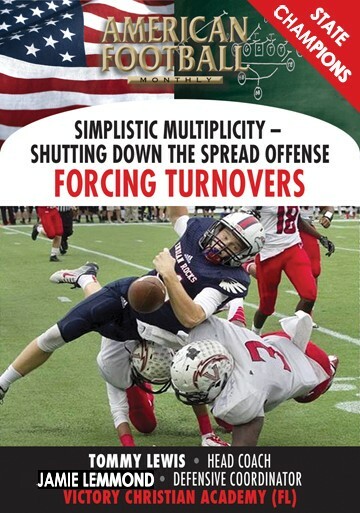 • Basic zone blitz and man blitz packages that can be adapted to any defense. 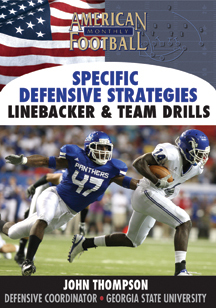 • Detailed variations on different defensive packages.